North Carolina does not require an SR-22 for DUI offenses. However if you have an SR-22 filing in another state, and move to North Carolina, you must maintain your SR22 in the state where it is required. 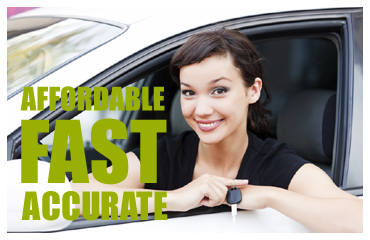 Need affordable SR22 Auto Insurance in North Carolina? SR-22 (the “SR” stands for “safety responsibility”) is a document that verifies that someone has automobile insurance. The SR-22 is prepared by an insurance company and then filed (by the insurance company) with the department of motor vehicles (DMV). The SR-22 is not an insurance policy. It is evidence that you have a policy. North Carolina does not require an SR-22 for DUI offenses. However if you have an SR-22 filing in another state, and move to North Carolina, you must maintain your SR22 in the state where it is required. The financial responsibility laws in the State of North Carolina require all registered motor vehicle owners to have liability insurance and uninsured motorist insurance on their vehicles. State law also requires licensed drivers to carry Uninsured/Underinsured Motorist coverage on their vehicle. The coverage limits for UM/UIM need to be at least equal to the highest bodily injury liability limit on any vehicle on the policy. These limits are the North Carolina state minimums. Drivers can have higher limits and additional coverage, such as physical damage coverage for their vehicle, medical payments coverage, and supplementary payments. Whether you are a preferred driver looking for cheap car insurance rates or a high risk driver required to file Form SR-22, we can help. We are the SR22 specialists. If your state requires that you have an SR22 insurance form filed in addition to your car insurance and you are looking for information about SR22, you’re in the right place. We specialize in SR-22 filing and have been providing high risk SR22 car insurance to their customers since 2002. Filing form SR-22 can be confusing and varies for each state. 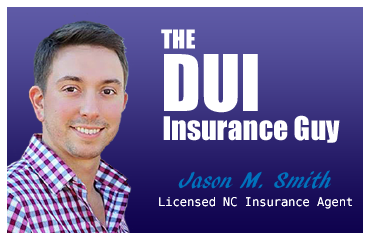 The DUI Insurance Guy has comprehensive knowledge of SR22 insurance requirements for each state within our insurance coverage areas. We help drivers with a DUI conviction get back on their feet by providing affordable, low cost, competitive insurance rates. We have relationships with multiple insurance companies allowing us to shop for you and find the lowest SR22 auto insurance premium in North Carolina possibly saving you time and money. An SR22 policy is technically a document proving the responsibility of the policyholder. If you meet certain conditions, you will be required to carry this proof with you whenever you drive until your SR22 status has been removed. Who are SR22 Policies for? This type of insurance is generally required for drivers who have been caught driving without insurance, especially those who were involved in at-fault accidents while driving without insurance. It is also typically required for those who have been convicted of driving under the influence of drugs or alcohol, had their license revoked or suspended or had too many tickets or traffic offenses in what is deemed a short time period. How Long Does SR22 Status Last? Most drivers who meet the conditions for SR22 status will be required to carry this type of insurance. A DUI conviction will usually stay on your insurance for 3 years, with some carriers looking back up to 5 years from your date of conviction. We are a local family owned and operated independent agency with the customer in mind and we care about your business. Serving the Triangle area and NC since 2002 and continuing to grow. We have relationships with multiple insurance companies allowing us to shop for you and find the lowest premium possible saving you time and money. We can search all of our preferred carriers to find you the best DUI Auto Insurance rate possible with benefits that are tailored to you.